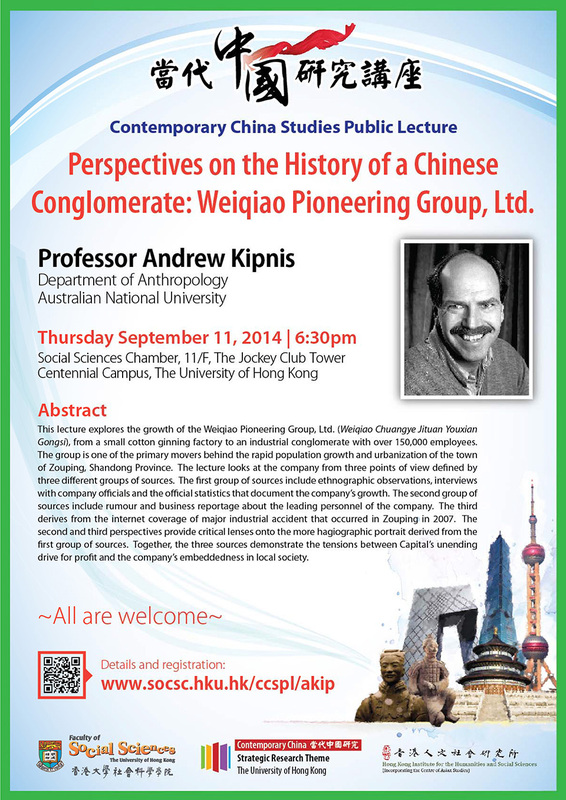 HKIHSS | Perspectives on the History of a Chinese Conglomerate: Weiqiao Pioneering Group, Ltd.
Perspectives on the History of a Chinese Conglomerate: Weiqiao Pioneering Group, Ltd.
Asia/Hong_KongPerspectives on the History of a Chinese Conglomerate: Weiqiao Pioneering Group, Ltd. This lecture explores the growth of the Weiqiao Pioneering Group, Ltd. (Weiqiao Chuangye Jituan Youxian Gongsi), from a small cotton ginning factory to an industrial conglomerate with over 150,000 employees. The group is one of the primary movers behind the rapid population growth and urbanization of the town of Zouping, Shandong Province. The lecture looks at the company from three points of view defined by three different groups of sources. The first group of sources include ethnographic observations, interviews with company officials and the official statistics that document the company's growth. The second group of sources include rumour and business reportage about the leading personnel of the company. The third derives from the internet coverage of major industrial accident that occurred in Zouping in 2007. The second and third perspectives provide critical lenses onto the more hagiographic portrait derived from the first group of sources. Together, the three sources demonstrate the tensions between Capital's unending drive for profit and the company's embeddedness in local society. Professor Andrew Kipnis’s research involves social, cultural and political change in contemporary China. He is currently working on several projects, including a comparative study of urbanization, kinship and the commercialization of ritual and a book on urbanization in a mid-sized city in Shandong. 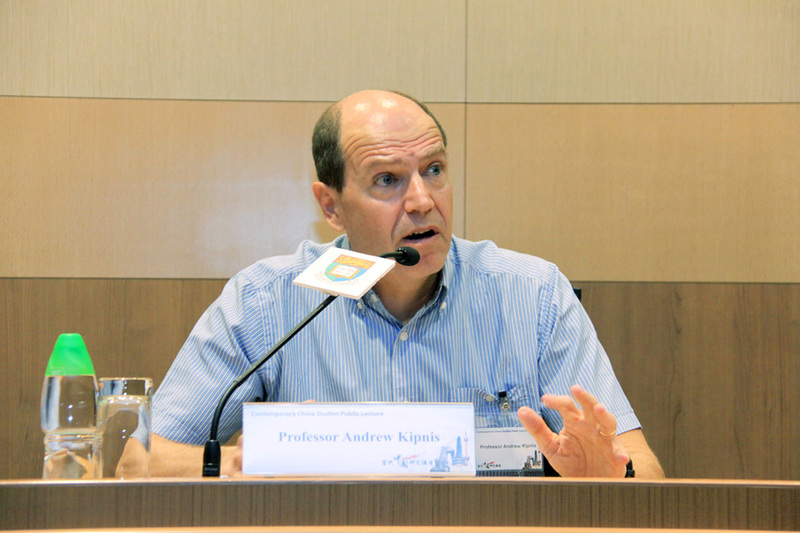 Professor Kipnis has recently completed an edited volume titled Chinese Modernity and the Individual Psyche and a textbook on Contemporary Chinese Society. 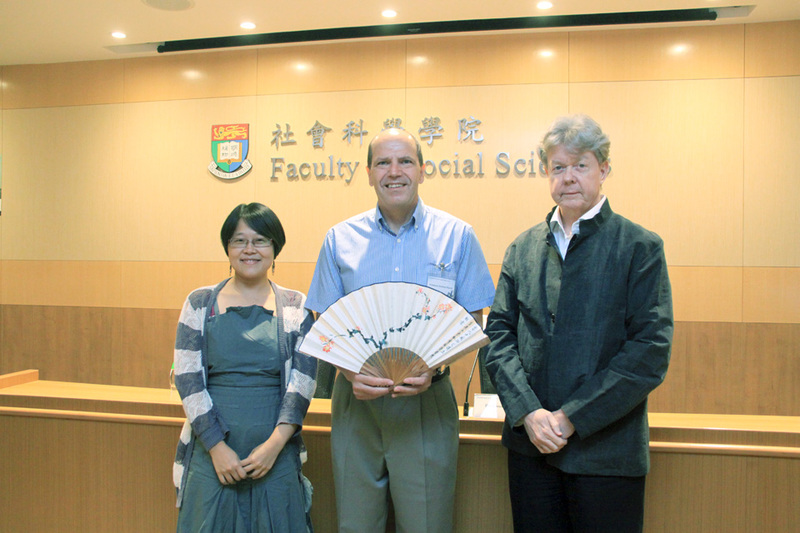 He has also written books on educational desire and governing, a book on the implications for anthropological theory of issues that arise in the governing of socialist states and a book on patterns of gift giving and social exchange in rural China. He is also co-editor of The China Journal.